This summer Kia will introduce its first true, unadulterated truck, called the Borrego. The 2009 Kia Borrego was unveiled at Detroit's North American International Auto Show in January 2008, and it surprised many who attended. 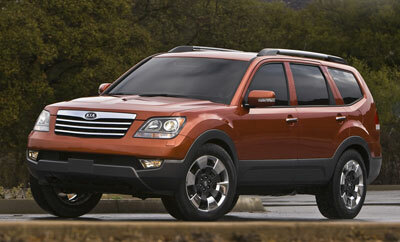 Some in the automotive media were expecting a slight variation on the Santa Fe from Hyundai, Kia's parent company. The Kia Borrego is in fact a conventional, mid-sized sport-utility vehicle with Kia's first-ever V8 engine. The Hyundai Santa Fe has a welded unibody, like the typical sedan, and emphasizes cabin comfort and luxury. The Borrego is somewhat larger, but more significantly, it applies body-on-frame construction, with a separately assembled body bolted to a ladder-type frame. The emphasis with Borrego is real, truck-style work such as towing. On a wheelbase of 114 inches, Borrego's weight and dimensions closely match those of truck-based sport-utility vehicles like the Ford Explorer and Nissan Pathfinder. Borrego features something that's unusual with truck-based SUVs, however. Its coil-spring rear suspension is fully independent (like the Explorer and Pathfinder and most cars), rather than equipped with a solid axle (like the Toyota 4Runner and most other body-on-frame SUVs). From a distance, the Borrego might be mistaken for a Pathfinder or an Explorer or some other SUV. There is only so much differentiation possible with the conventional two-box SUV design. On closer inspection, however, the Borrego exhibits some unique details. It looks almost graceful, and perhaps lighter, less thick or massive, than a Pathfinder. In some respects the Borrego looks smaller than it actually is. It will be offered with wheels up to 18 inches in diameter. The base Borrego will be powered by a 3.8-liter V6, though Kia hasn't released horsepower or torque ratings. We'd guess something in the range of 275 horsepower. The upgrade is a 4.6-liter V8, and Kia promises at least 300 horsepower from this engine, which will make Borrego the company's most powerful vehicle to date. Both engines are matched to Kia's first six-speed automatic transmission, which should deliver competitive fuel-economy ratings. Kia reports an impressive 7500-pound towing capacity for the V8, and 5000 pounds for the V6. The 2009 Borrego will be offered with either rear-wheel drive or four-wheel drive, as well as a couple of electronic packages that should make off-road operation easier. Kia's first downhill assist control (DAC) system is designed to keep Borrego moving straight and steady down steep grades without locking its wheels. The hill assist control (HAC) will help control fishtails and backwards slides on steep upgrades. Kia hasn't offered a good look inside the Borrego, which suggests that the final interior design is still being sorted. But we can tell you that this SUV seats seven, with a sliding second-row seat that adjusts for relative legroom and easier access to the two-passenger third row. Both rear seats fold flat to optimize cargo space. Safety equipment includes two-stage front airbags, curtain-style head protection airbags for all three rows of seating, electronic stability control and a sophisticated antilock brake system (ABS) with electronic brake distribution (EBD) and brake assist. There is no indication that Borrego is equipped with anti-rollover electronics, which are increasingly common on sport-utilities and other taller vehicles. And while Borrego is definitely a truck, it won't be short on big-ticket features. It will offer several Kia firsts, including a DVD-based navigation system, power-adjustable pedals and a back-up warning system with rear camera. And it will come standard with lots of stuff, as Kia vehicles typically do, including a 600-watt Infinity stereo with USB audio input jacks, a six-CD changer and Sirius satellite radio hardware. Chrysler has redesigned the Town & Country minivan for 2008. In addition to the popular Stow 'n Go seating arrangement, the new Town & Country offers Swivel 'n Go, which includes second-row seats that rotate 180 degrees to face a removable table that stores in the floor. With these improvements, Chrysler bills the Town & Country as the ultimate family friendly vehicle, and we agree. In addition to the new seating arrangement, the 2008 Chrysler Town & Country gets a new engine choice, a 4.0-liter V6 that is more competitive with the V6 offerings from other manufacturers. The 4.0 moves the T&C nicely, while the carryover 3.8-liter V6 is adequate for around-town duty. The base engine is a 3.3-liter V6. With the redesign, Chrysler has dropped the short wheelbase body style. On the road, the Town & Country offers a smooth ride and an SUV-like view of the road. The Town & Country is a big vehicle, however, and it is not nimble. It is prone to body lean in turns and the ride can feel floaty at highway speeds. The Honda Odyssey and Nissan Quest are more car-like and sportier. The Town & Country's entertainment and seating options, however, are the best in the class, matched only by the Dodge Grand Caravan. The available Stow 'n Go seating tucks the second-row seats nicely into the floor, and when those seats are up, the floor bins offer storage space. The rear seats fold into the floor on all models, allowing a perfectly flat, voluminous rear storage area that can accommodate items such as couches, 4x8-foot sheets of plywood, and most any other item you might need to transport. In addition, there is a handy well behind the third row that offers lots of storage space even with the seats up. The new Swivel 'n Go option will be great for family trips. The second row turns to face the third row with a table in between. It will help keep the kids entertained with games of checkers, a place to draw, or any number of other possibilities. And if that's not enough, the Town & Country offers single and dual screen rear DVD entertainment systems, plus newly available Sirius Backseat TV with three kid-friendly channels. The dual screens allow different viewing options for kids that can't agree on what to watch. And for the adults up front, Chrysler's new MyGIG hard drive radio stores up to 1600 songs. Overall, the 2008 Town & Country does what a minivan should. It is a great vehicle for families that need to haul kids and cargo on a regular basis. And the seating and entertainment options will prevent a lot of the fights that inevitably accompany road trips. Pricing can exceed $40,000 with all the options, so carefully consider which you'll need and use before you buy. The 2008 Chrysler Town & Country is available in three models, base LX, well-equipped Touring and top-of-the-line Limited. The LX model comes with a 175-hp 3.3-liter V6 engine mated to a four-speed automatic transmission. The Touring model has a 197-hp 3.8-liter V6 and a six-speed automatic transmission. The Limited upgrades to a 251-hp 4.0-liter V6 with the six-speed automatic. All have front-wheel drive. The LX ($22,460) comes with Yes Essentials cloth upholstery that Chrysler says is stain and odor resistant, air conditioning, tilt steering wheel, front bucket seats, front center console, second-row bench seat, third-row stowable split folding bench seat, power front windows, power door locks, remote keyless entry, four-speaker AM/FM/CD stereo, conversation mirror, and P225/65R16 tires on steel wheels with wheelcovers. The Touring model ($27,700) adds tri-zone manual climate control with rear controls, leather-wrapped steering wheel with radio controls, two additional speakers, cruise control, eight-way power driver's seat with lumbar adjustment, power adjustable pedals, Stow 'n Go second-row stowable bucket seats, overhead storage bins, removable rechargeable flashlight, heated exterior mirrors, power rear windows, power sliding rear doors, power rear liftgate, trip computer, universal garage door opener, automatic headlights, fog lights, roof rack, and aluminum wheels. The Limited model ($35,670) gets tri-zone automatic climate control with rear controls; interior air filter; leather upholstery; eight-way power passenger seat; heated first- and second-row seats; memory for the driver seat, mirrors, and pedals; 506-watt audio system with 10 speakers; Chrysler's MyGIG Multimedia Entertainment System with 20-gigabyte hard drive; Sirius satellite radio; removable, sliding front console; rear obstacle detection; remote engine starting; auto-dimming driver's side and rearview mirrors; outside-temperature indicator, compass; second- and third-row sunshades; xenon headlights; and P225/65R17 tires on chromed aluminum wheels. Options start with Chrysler's new Swivel 'n Go Seating group ($495), which includes second-row bucket seats that swivel and a removable table that can be installed between the second and third seating rows. Also offered are Chrysler's MyGIG Multimedia Infotainment system ($1,300), which adds a rearview camera, Sirius satellite radio, Chrysler's UConnect hands-free cell phone link and a navigation system with real time traffic and voice activation to the MyGIG Multimedia Entertainment System. Three rear DVD entertainment systems are offered. The LX model is available with Entertainment Group 1 ($2,120), which has a single rear DVD screen, and also comes with Sirius satellite radio, a rearview camera, and the MyGIG Multimedia Entertainment system with 20-gigabyte hard drive. Entertainment Group 2 ($2,395) for the Touring model has the same equipment, plus a second rear video screen and a second rear DVD player. Entertainment Group 3 ($2,020) for the Limited model has two rear video screens with two DVD players, plus Sirius Backseat TV. A Trailer Tow Group ($795) includes heavy-duty engine cooling, trailer wiring harness, and load-leveling rear air suspension. Stand-alone options include two integrated child seats ($225) for the second row, UConnect cell phone link ($275), sunroof ($895), a power-folding third-row seat ($595), and Sirius Backseat TV ($495). Several of the higher line standard features are also available for the lower line models. Safety equipment includes dual-stage front airbags, head-protecting curtain side airbags, tire-pressure monitor, ABS with brake assist, traction control, and electronic stability control. Optional safety features include rear park assist and a rearview camera. The wheelbase has been slightly extended and the stance has been widened. It's a couple inches longer and 18 pounds lighter. There's more headroom but it's no taller. Aerodynamics are better and it's quieter inside. The redesigned rear suspension delivers a good ride. Electronic stability control is now standard. The new Grand Caravan has earned five-star front and side crash ratings, and four stars in rollover ratings, from NHTSA. The Grand Caravan is all about transporting people comfortably and safely, while keeping them entertained. Making the time pass quickly. Its designers focus on interior creature comforts, and they have succeeded with the '08 model. The bells and whistles that make your Grand Caravan a mini rec-room are tempting, or maybe downright desirable, but they are expensive. You can get second-row chairs that swivel to the rear, and a table that pops up between those buckets and the third-row bench, for car-poolers to play gin rummy, or to eat indoors at a tailgate party. You can get a video system with screens on seatbacks, and wireless headphones and remote control. You can plug in your laptop. You can press buttons on the ceiling and watch in awe, or amusement, as the side doors and liftgate flip open and closed. Or you can fold it all up into the floor, and haul a stack of plywood or a load of hay. The styling doesn't look radically new, but it's totally different. All the sheetmetal is new, as is the front fascia, rear fascia, and taillamps. The Grand Caravan looks more like a Dodge truck, now, in the nose at least. The hood is less sloped, and the new grille is the same chrome crosshair that fills our mirrors on the big Ram, Durango, and Nitro trucks. The base 3.3-liter V6 gets an EPA-rated 17 City and 24 Highway miles per gallon. The 2008 Dodge Grand Caravan SE ($21,740) uses the smallest of the three available engines, a 3.3-liter overhead-valve V6 mated to a four-speed automatic transaxle. Seating is two-two-three, with the Stow 'n Go (second- and third-row seats fold flat, into the floor) optional as part of a package ($3740). (New Car Test Drive uses manufacturer's suggested retail prices, MSRP, which may change at any time without notice.) The standard interior includes a four-speaker AM/FM/CD sound system and fabric seats. The Grand Caravan SXT ($26,805) uses a 3.8-liter overhead-valve V6 with six-speed transaxle and Stow 'n Go standard. The interior adds overhead storage and pinpoint LED lighting. Options for the SE include the G package ($1750) with cruise control, tinted side glass, rear climate control, and a bigger alternator. The H package ($3740 ) includes everything in the G package, plus YES Essentials fabric, second-row power windows and third-row power vented windows, 60/40 third-row bench, trip computer, heated mirrors, remote starting and adjustable pedals. There's also a Power and Remote Entry Group ($1995), including power sliding doors on both sides, power liftgate, eight-way power driver's seat, and driver's lumbar manual support. There's a Special Appearance Group ($995) with aluminum wheels, leather -wrapped steering wheel with audio controls, black roof rack and body-colored moldings; and there's the six-speaker DVD Entertainment System ($2120) with all the bells and whistles. The SXT offers the L package ($2080) with heated seats for the first two rows, a MyGIG Multimedia Entertainment System, power liftgate and rear backup camera, plus other smaller things. The M package ($3785) includes hands-free phone, rear climate controls, second- and third-row window shades, cabin air filter, automatic headlamps, backup camera, backup beeper, and 17-inch aluminum wheels. 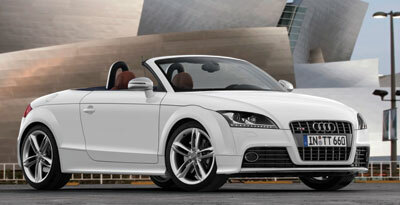 The N Package ($7290) starts out with the 4.0-liter single-overhead-cam V6 engine. Most of the rest of it is about deluxe entertainment. MyGIG, DVD screens for both the second and third rows, wireless headsets and remote control, Sirius radio, and an Infinity sound system with nine amplified speakers and subwoofer. The second-row seats swivel to face the third-row 60/40 bench seat, with an easily stowable table between them. The third-row seat folds into the floor, while the second-row quad chairs are removable. Safety features that come standard on all models include electronic stability control, four-wheel-disc ABS with brake assist, and full-length airbag curtains. Side-impact airbags are not available. Grand Caravan received five-star front and side crash ratings and four stars in rollover ratings from NHTSA. The 2008 Dodge Nitro is a mid-size sport utility vehicle distinguished from other SUVs by its squared-off styling with exaggerated fender flares. Nitro shares its platform with the Jeep Liberty. It is 22 inches shorter than the Dodge Durango full-size SUV. The Nitro looks and feels larger than its size, with a high seating position that SUV owners like, and good cabin space. It features Load 'n' Go, a cargo storage system whereby the rear seats and front passenger seat fold totally flat in seconds; additionally, the cargo floor slides rearward out over the rear bumper, and can hold 400 pounds, making the loading of heavy objects much easier. It could prevent back injuries. The Nitro comes with either two-wheel drive or four-wheel drive, with a choice of V6 engines. The newer 4.0-liter V6 is better than the old 3.7-liter, with 50 more horsepower and fuel economy that's only one or two miles per gallon less. However the 4.0-liter engine only comes in the top-of-the-line R/T model, which costs about $3200 more than the most popular SLT. But a five-speed automatic also comes with the R/T, and that transmission is also better than the standard four-speed in the SLT. Surprisingly, the R/T has a more comfortable ride, as well. There are three types of upholstery: basic cloth, a handsome stain-repellant cloth, and beautiful perforated leather. No matter which covering, the seats are very comfortable. The cabin is quiet thanks to heavy use of sound deadening material, and visibility out the rear and to the front corners of the Nitro is excellent. For a base price of $19,595, a Nitro owner gets many safety features that are usually optional on other vehicles, such as side curtain airbags, an electronic stability program with traction control and brake assist, electronic roll mitigation and a tire-pressure monitor. The Nitro was introduced for the 2007 model year and gets only minor changes for 2008. The only notable updates are standard Trailer Sway Control and the availability of rear obstacle detection system. The 2008 Dodge Nitro comes as three models, SXT, SLT and R/T. All are available with rear-wheel drive (2WD). The SXT with a manual transmission has part-time four-wheel drive (4WD) that should not be left engaged on dry pavement. The SXT is also offered with an optional automatic transmission and all-wheel drive. The SLT and R/T are offered with 2WD or all-wheel drive. The SXT 2WD ($19,595) and 4WD ($21,255) come with a 210-hp 3.7-liter V6 and a choice of six-speed manual transmission or four-speed automatic. Standard equipment includes cloth upholstery, air conditioning, remote keyless entry with power windows and door locks, 115-volt power outlet, flat folding front passenger seat, 60/40 folding rear bench seat, AM/FM/CD with MP3 and six speakers, Sirius satellite radio, auxiliary input jack, tilt steering column, slate-colored molded front and rear fascias and fender flares, folding power mirrors, theft-deterrent system, rear window washer/wiper, roof rails, and P225/75R16 tires on steel wheels with wheel covers. The SLT ($23,005) and SLT AWD ($24,665) come standard with the automatic transmission. The SLT adds YES Essentials upholstery that Dodge says is stain, odor and static resistant; leather-wrapped steering wheel with audio controls; six-way power adjustable driver's seat; heated exterior mirrors; vehicle information center; auto-dimming rearview mirror; universal garage door opener; fog lights; Load 'n Go cargo storage system with tie-down rails; overhead console; cruise control; compass; tinted windows; body-colored front and rear fascias and fender flares; and P235/65R17 tires on aluminum wheels. The R/T 2WD ($26,180) and R/T AWD ($27,840) feature a 4.0-liter V6 making 260 horsepower, mated to a five-speed automatic transmission with manual shift capability. The R/T comes with a sport suspension with P245/50R20 Goodyear Eagle tires on chromed aluminum wheels. The R/T is equipped like the SLT. Options for all three models include a power sunroof ($895) and trailer tow package ($820). Options for the SLT and R/T include a rear DVD entertainment system (1,300), leather upholstery with heated front seats ($830), and Dodge's MyGIG Multimedia Infotainment System ($1550), which has a navigation system with voice command and a 20-gigabyte hard drive to store music and photos. Also offered for SLT and R/T is a Convenience package ($1,345) with rear obstacle detection, Dodge's UConnect wireless cell phone link, remote engine starting, eight speakers and a subwoofer. The SLT can be ordered with the R/T's sport suspension and chromed 20-inch alloy wheels ($1,505). Safety equipment that comes standard on all models includes dual front air bags, head-protecting curtain side air bags, and a tire-pressure monitor. ABS with brake assist, traction control, and electronic stability control with Dodge's Trailer Sway Control are also standard. Rear obstacle detection is optional for SLT and R/T ($250). If want purchase a new car, There is no thrill like cruising around town in your brand new car you worked so hard for. But before you start cruising, you have to think about getting insurance for your new car. Check out the safety of your new car. Before you purchase your new car, check out the safety features. If you have already purchased your new car and it does not include certain safety features, add them. Cars with safety features are seen as less risky to insure than cars without safety features; therefore, insurance companies give cheaper car insurance quotes to drivers who own safe cars. Ask about “spinning off” of another car insurance policy. If you have ever been on another driver’s car insurance policy, such as your parents’ car insurance policy, ask the insurance company about “spinning off” of that car insurance policy onto your own car insurance policy. You will have your own car insurance policy, and you will most likely get a cheaper premium than you would if you purchased a new car insurance policy out right. When you plan to purchase a new at car dealership, you must have car insurance before you can drive your new car home. Sometimes car shoppers wait until they are at the car dealership before contacting their current car insurance companies about the new car. Sometimes, car shoppers who are shopping for their first cars – car shoppers who do not already have car insurance for another car – wait until the day of the purchase to buy a car insurance policy. the best and easiest way to get the best car insurance - is to talk to a specialist car insurance broker who will be able to search the market for the right car insurance at a price that is not only cheap but probably the cheapest available. This will save you a lot of time, effort and wasted money. Once you and your broker have decided what type of car insurance cover you need it will not be long before your broker has got you up and running while making a huge saving. There are certain factors that could have an impact on the cost of your car insurance, for example the number of years no claims bonus you have, the size and value of your car, the average mileage a year that you drive and the extra security features your car has been installed with. Someone who drives a smaller car, with a smaller engine and who has a low average annual mileage will get a better car insurance deal than someone who has got a big car and has got a high annual mileage. If you have a car that is equipped with enhanced security features recommended by insurance dealers like a car alarm, tracker or immobiliser you will get cheaper car insurance simply because your car will be safer and less likely to stolen when parked and left unattended, in the same way by parking your car overnight in a garage or on a driveway this will also help to reduce the cost of your car insurance. Every year when the renewal for your car insurance is due do not just renew your car insurance before you talk to a car insurance broker. They will ensure that you get the best car insurance deal again this year. Never take it for granted that the insurance deal you got last year will still be the cheapest this year. which covers the cost to repair damages caused by you, is usually your state’s minimum automotive insurance requirement; however, if you are still making payments on your vehicle, your financer may require you to purchase additional automotive insurance coverage until you own the vehicle. There alot of different kinds of additional automotive insurance, and collision automotive insurance and comprehensive automotive insurance are probably the most popular kinds of additional automotive insurance. But what is the difference between collision automotive insurance and comprehensive automotive insurance? Don’t they both cover everything? No. Collision automotive insurance and comprehensive automotive insurance are actually quite different. Collision automotive insurance is automotive insurance that will cover the cost to repair damages to your vehicle that result in an accident caused by you. If repairs to your vehicle cost more than the value of your vehicle, the automotive insurance company may deem your vehicle a total loss, in which case you will be compensated for the current and actual cash value of the vehicle. Collision automotive insurance is usually the most expensive of the additional automotive insurance options, which is understandable since the automotive insurance company is paying for damages caused by their own policy holder. On the other hand, comprehensive automotive insurance is insurance that will cover the cost to repair damages to your vehicle that result in an accident for which you are not at fault. These damages may be caused by incidents involving natural disasters, theft and vandalism, fire, and animals (think of deer running out in the road during your innocent drive home). Comprehensive automotive insurance will compensate you for the total cost of your vehicle before the accident. Although many people opt to purchase only liability insurance since it’s usually the only insurance required, consider paying extra for these additional automotive insurances. You never know when you, or an animal, will be the one to cause damage to your vehicle. If you are one of those people who are wondering when the best time to go to a car show is then your in luck. Most car shows will take place from spring to fall. A lot of most car shows will take place in the summer although some are held in spring. You will find that many more people will attend in the summer since school is out. Even though many schools are different and people get out for summer earlier and later in the summer then others. If you are looking for the best car shows in weather terms then you need to look for some that are going to be held in the summer months since it is always clean clear and sunny you will always be able to find some kind of car show event. Just take this for example if you are going to be going to a NOPI event in Miami Florida then you are not going to need to wear long jeans and a long sleeved shirt you will need either a bath suit, shorts and t shirt on or just shorts on with no t shirt unless you are a women. Then you will just be able to wear a bikini or shorts and a t shirt as well. If you are going to have little kids with your or babies then you will want to find car shows that start in the morning or noon hours and ends in the afternoon time so you can give them a nap. Most kids tend to get cranky in the evening hours as they will be tired and just want to eat and go to bed. If you are just going to be by yourself or with some buddies then you can just go to the show in the morning so that you can avoid the crowd in the afternoon or you just might want to get to the car show early so you can be the first to look and ask questions. You might just want to get their earlier then everyone else because you just want to be there early so you will have the whole day to look at the cars you love. Either way you are going to see a lot of the cars you like whether you like it or not. So if you are worried about not getting to see enough cars that is going to be the wrong thing to think about seeing as it is a car show and you will have hundreds of cars to look at and gander through. You should have more then enough time to look at all the cars that are being showed even if you do get there a little later then you expected because of traffic. There will always be a lot of cars to look at unless it is just a high school car show then it will probably just be simple.